It is with great pleasure that National Greyhound Adoption Program announces its use of the best dental laser currently on the market today: The Biolase MD. 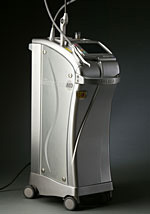 The Biolase MD has been shown to do innovative techniques that are impossible to do with the standard CO2 laser. This laser uses different technology and will give the veterinarians at NGAP the ability to perform procedures currently done in only a few of America's human dental offices. 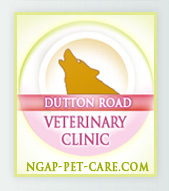 NGAP is the first veterinary facility in the United States to own this equipment. Lasers typically are used to cut hard bone. As it cuts, it cauterizes and kills bacteria. However, this technological product has a gentle touch, and can be used to desensitize root exposed teeth. Many greyhounds, as they get older, develop periodontal disease and will have significant root exposure. That root exposure does not have the protection of enamel coverage, so the rough surface acts as a magnet for plaque, tartar and bacteria and is a pathway for bacteria into your dog's bloodstream. Exposed roots, if looked at under a magnifying glass, shows a multitude of tiny pores. The Biolase MD can fuse these pores together and subsequently desensitize this root exposed area. Greyhounds can not tell us when they have discomfort while eating or having their teeth exposed to hot or cold, but their teeth are not very different from ours. Not only will the Biolase MD desensitize the tooth, it will also smooth it, making it a less attractive site for these ill wanted pathogens. Many greyhounds will develop gingivitis, exhibited by extensive redness of the gums and swelling. It is not uncommon to see canines with swelling around gum tissue ¾ of an inch wide by ¾ of an inch deep by 3/8 of an inch high. With the Biolase MD, we can now go underneath the surface into the pocket, to help remove plaque and bacteria and creating healthy tissue which can lead to the reattachment of do for your greyhounds. NGAP will use it on an as-needed basis. 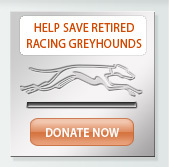 If your greyhound does not need this treatment it simply won’t get it. 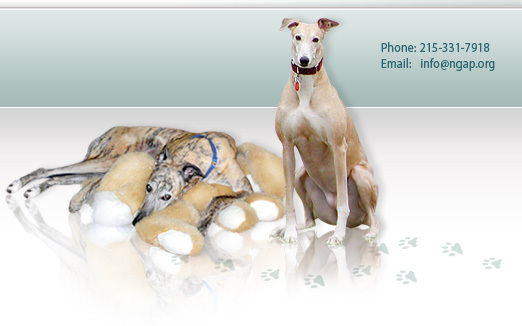 If your greyhound does need this treatment, it is done quickly and efficiently during the cleaning process. Healing is faster with minimal or no pain. Everyone reading this information should be excited for their greyhound and the new benefits we can now achieve with the Biolase MD. For prophylactic treatment where we do not see deep pockets but will protect against the occurrence of such there will be a $50.00 charge if you wish to have it done. Please advise the staff prior to the procedure.